During the backsplash installation my contractors failed to cover the newly installed granite counter top; therefore, some of the groute was observed by the granite leaving rough, powder like look, as opposed to its shiny look. 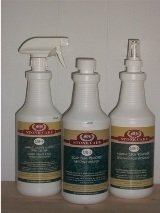 Are there any products you would recommend to remove the groute from the countertop? 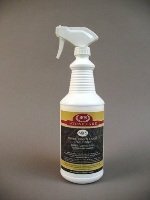 I would use a razor blaze to scrape the grout off and soap and water. I don't think you need any special products. 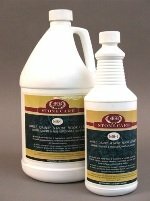 We do sell a stone and tile cleaner and can be found on our Stone Care Products page which a link can be found on any of our web pages on the right hand side.